A school in Anambra state was mocked last year after outstanding students were given goats by the management for distinguishing themselves academically. 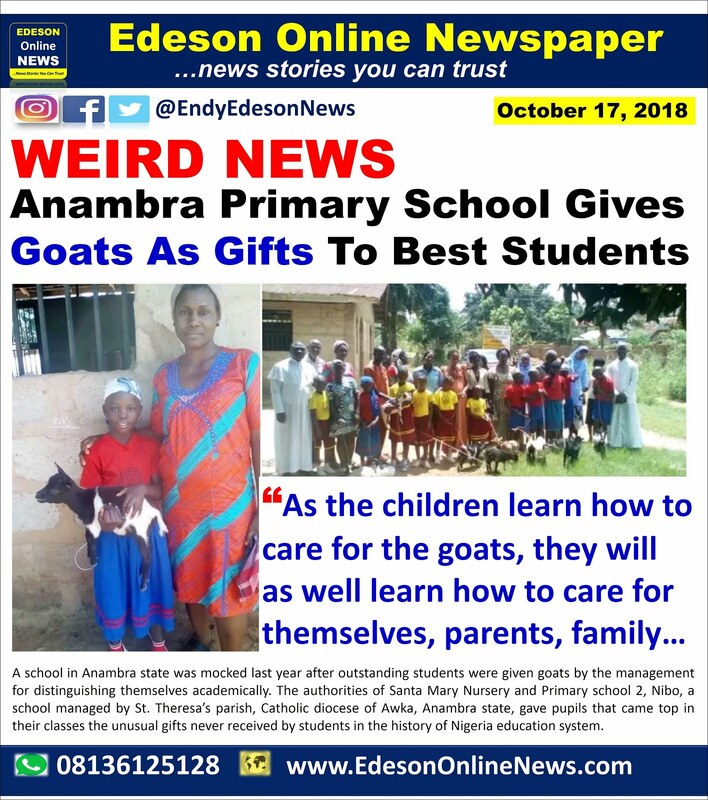 The authorities of Santa Mary Nursery and Primary school 2, Nibo, a school managed by St. Theresa’s parish, Catholic diocese of Awka, Anambra state, gave pupils that came top in their classes the unusual gifts never received by students in the history of Nigeria education system. the children in paying their school fees through the proceeds from the goats as it begins to multiply. As the children learn how to care for the goats, they will as well learn how to care for themselves, parents, family, etc and the society at large especially in this milieu where nobody hardly cares. Agriculture is part of education...nice gift. Goats is like a lifetime investment for them , make e be female goat, such a thoughtful gift. Commendable in the rural area. A gift should be treasured. It's a gift that can multiply. What does those cups or award stands that are being given to people multiply to? You just keep it in a place. Let's think about it. i wanted to type rubbish, but when i read down the line, i agree with the organizers. All the gifts i collected for carrying first position in primary school where are they. Nice... I love the message behind it. They should even add 404 to it.